This item is currently unavailable. To learn more about the status of this item, call our Water Experts at (864) 284-1801. 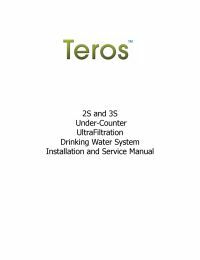 The AquaCera Teros 3S Purifier Ultrafiltration System uses the powerful multimedia fiber block cartridge as a pre-filter and AquaMetix block technology that deals with many different types of challenging contaminants in a single filter. Bacteria, cysts, and viruses are just a few of the contaminants that the Gen2 hollow fiber membrane wipes out. 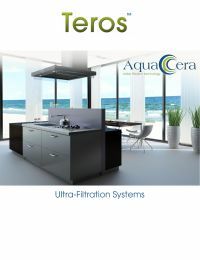 The AquaCera Teros 3S is a triple housing cartridge system capable of delivering greater than 0.5 gallon per minute flow rates, without the need for a storage tank. NOTE: This item is currently unavailable. To learn more about the status of this item, call our Water Experts at (864) 284-1801.